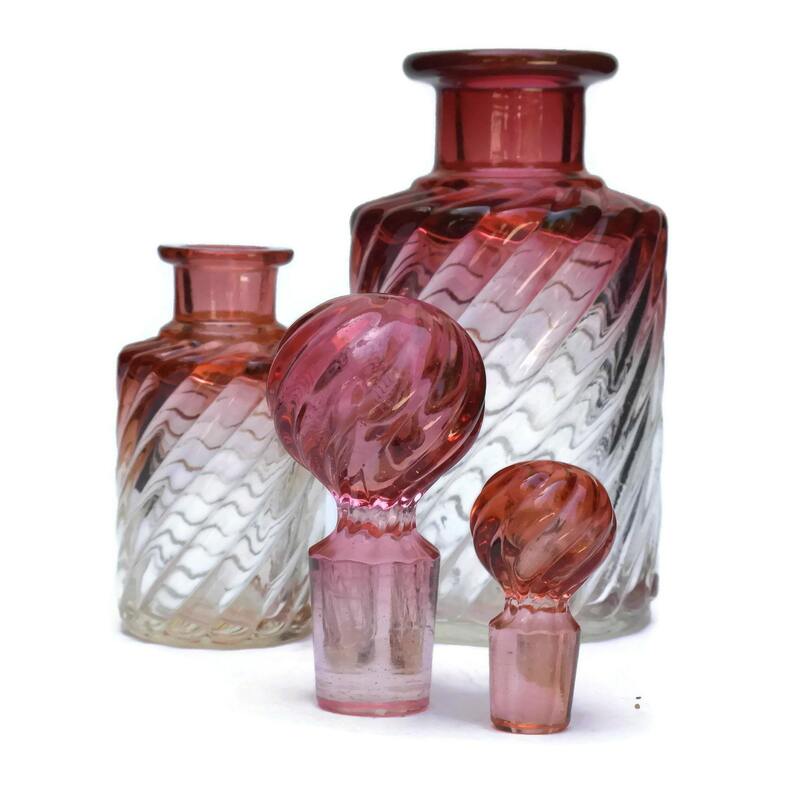 An elegant antique Baccarat crystal vanity set from the early 1900s. 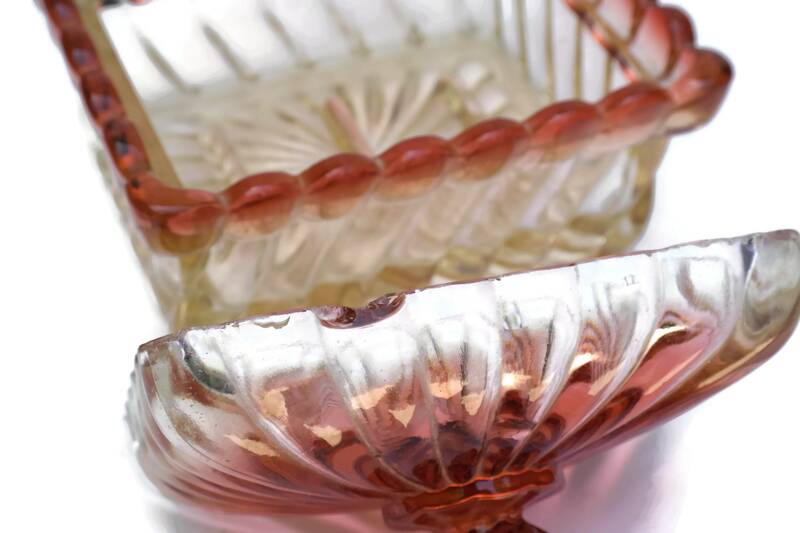 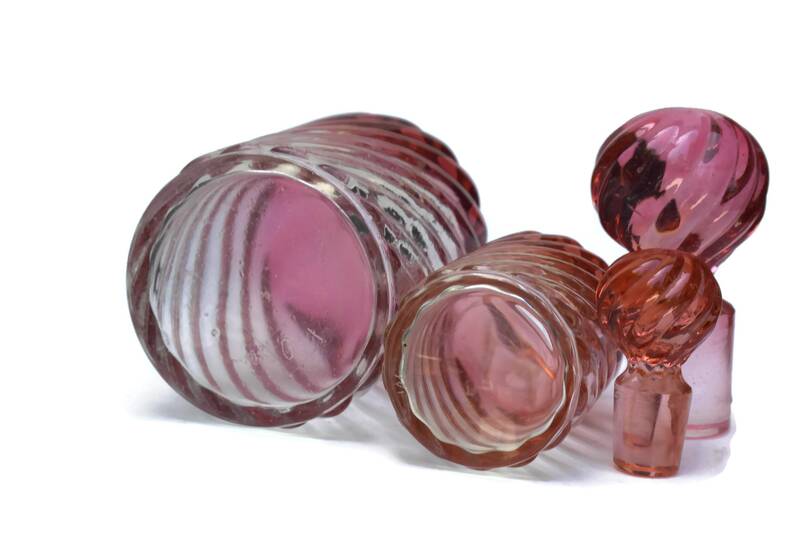 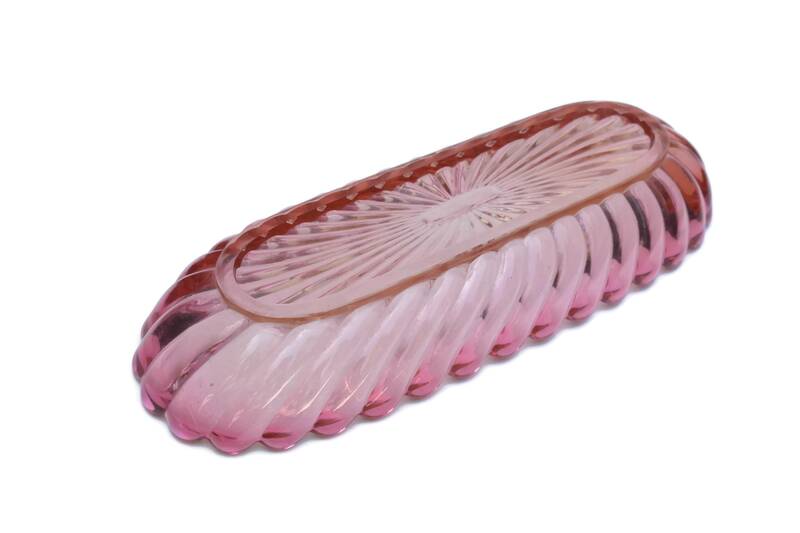 Manufactured by the famous French crystal company it is from their Twisted Bamboo collection and features a charming pink and pale amber colour. 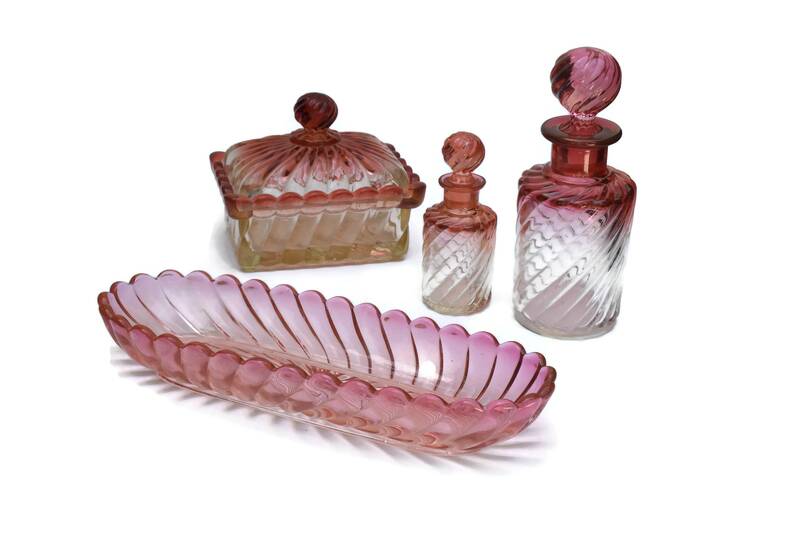 The set includes 2 perfume bottles, soap dish with lid and a tray for holding a comb or jewellery. 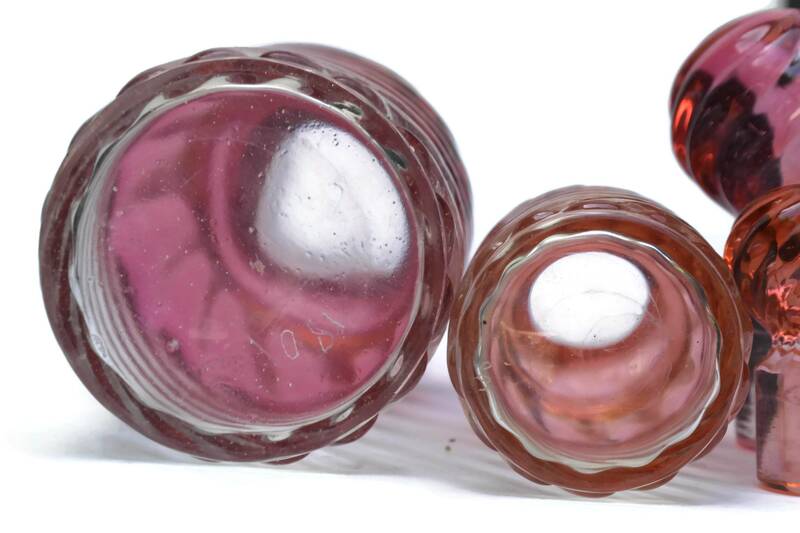 The undersides of the two bottles have been etched with the figures "180" and "109" respectively. 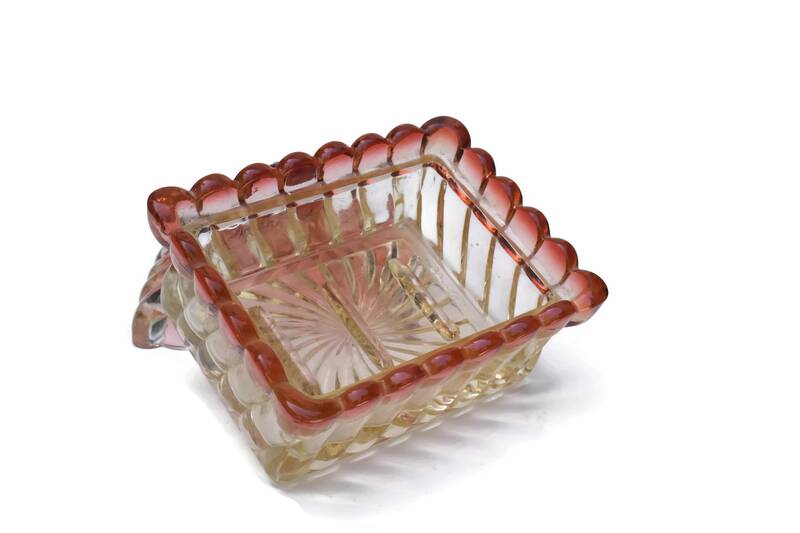 The interior base of the soap dish has been impressed "Baccarat". 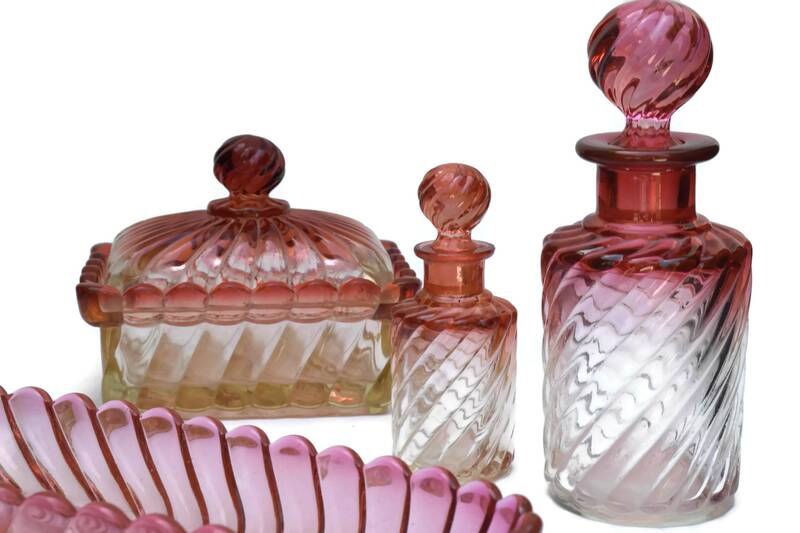 The vanity set is in good antique condition with some signs of age and wear. 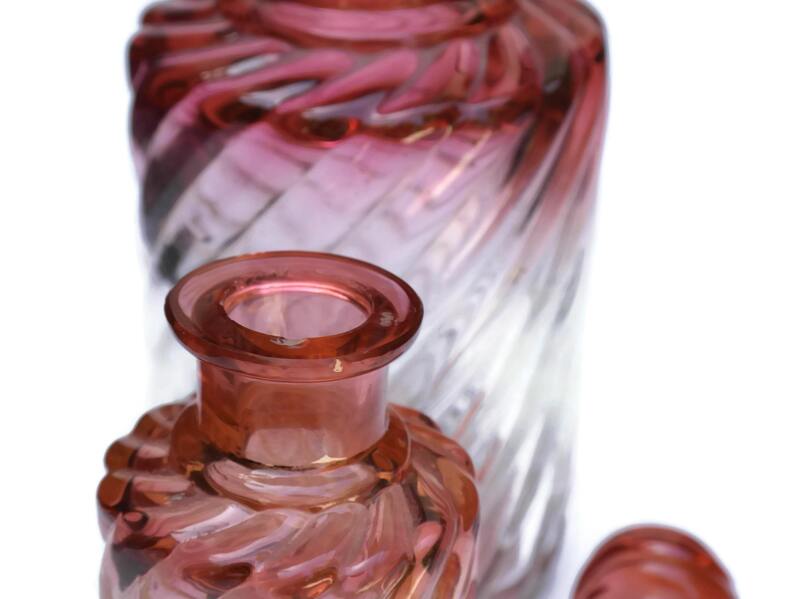 There are small flakes to the crystal around the rim on the small perfume bottle. 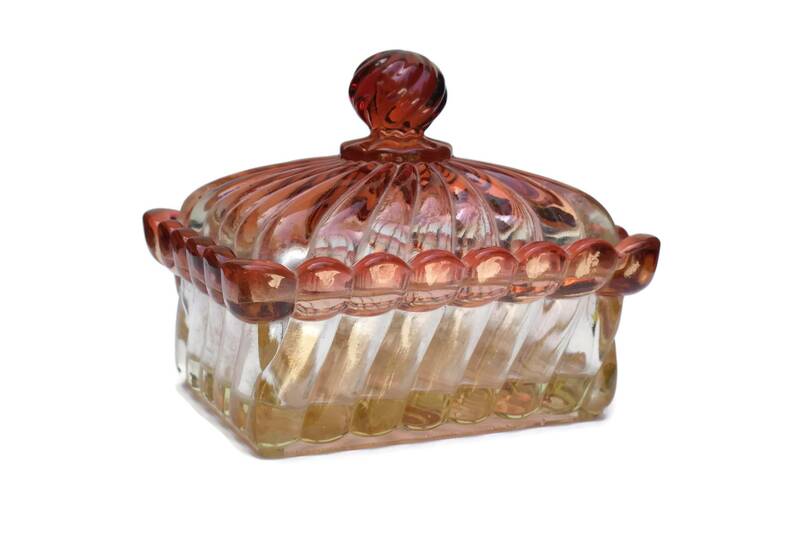 There is a chip and small flakes around the bottom of the lid of the soap dish.